Have you ever gone on a trip and forgotten something important? Or gotten back from a vacation and unpacked clothes that were never worn and other items that were never used? There is a happy medium between the toothbrush and magazine crowd and those that bring everything including the kitchen sink. That is why Campers & Gear has put together this handy Camping Checklist. What you should pack depends on the length of your trip, the type of camping or excursion you are going to be doing, and access to suppliers of provisions. This Camping Checklist isn’t meant to be taken as gospel, but rather as a guide. 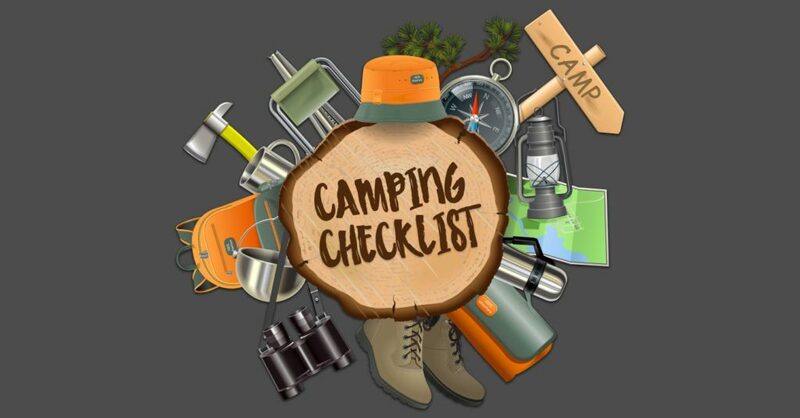 We expect, based on your own needs and wants that you will add items to and delete items from this Camping Checklist. You won’t find the kitchen sink on this Camping Checklist, but you will find the basics as well as a few items that we’ve found from our own experiences to be must have’s. Remember: Don’t Forget the Essentials, Pack Only What You Need, and Leave Nothing Behind! Have other items in mind? Write them in below.